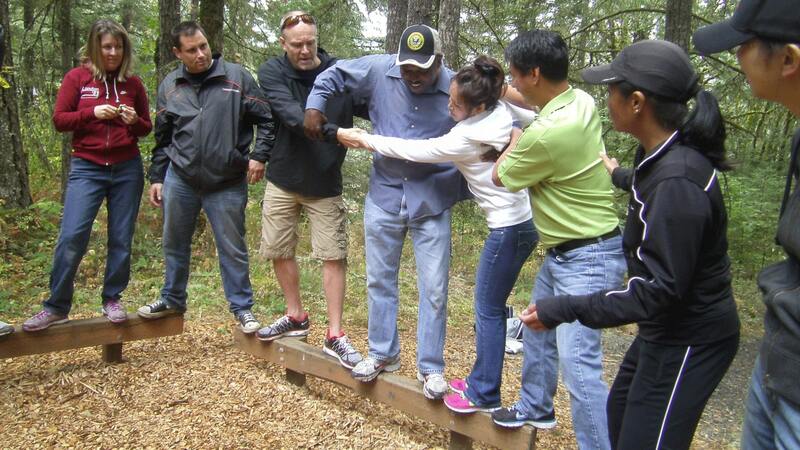 Are you looking for an incredible team building experience? Tree to Tree can help you improve and enhance interpersonal bonding, problem solving, communication and strategic planning. 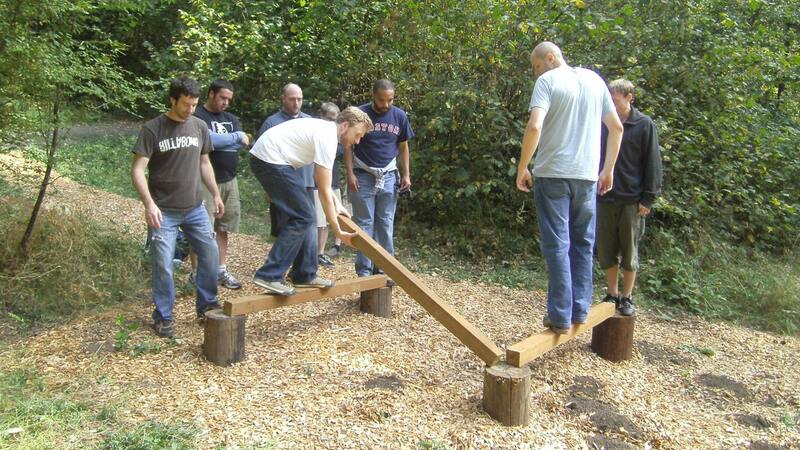 We facilitate group activities specifically tailored to your company's needs. You may benefit from a single session or regularly scheduled events. Our corporate team building programs are designed to identify and improve weaknesses as well as enhance existing strengths. Excitement, adventure and challenges await at our breathtaking Aerial Adventure Park. In this natural setting, your group will encounter scenarios designed to encourage growth and communication. Each participant will have the opportunity to identify weakness and recommend strategies for improvement. The challenges that come with navigating our park enhance communication and trust between individuals. Our team of professionals will facilitate your group's improvement. Our goal is to provide a life-changing experience that helps you reach any goals you've set. This full-day workshop is all about helping participants reach a higher level of success. By focusing on the physiology of the brain, your employees or clients can gain valuable insights such as strategic value placement, micro and macro management styles and internal and external information processing. Your team also will learn how exercise and laughing can improve brain function and problem solving. 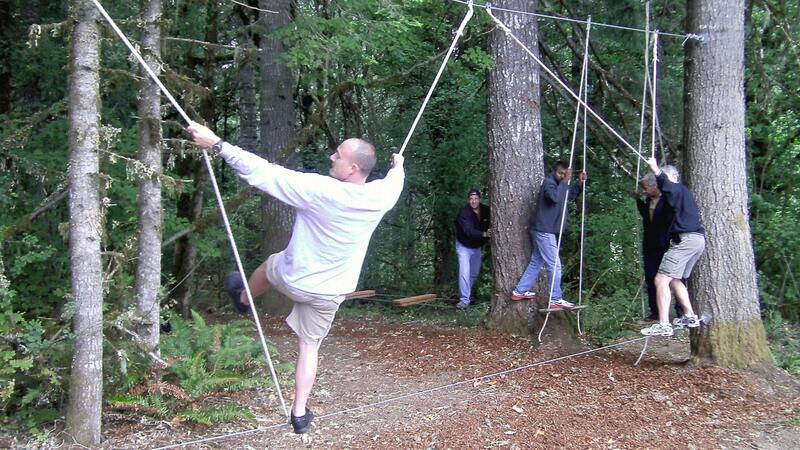 To learn more about the team building events we have at our Aerial Adventure Park or off site, please call today. We will carefully assess your team's needs to tailor your specific event. Our professionals are ready to answer any questions you might have. Fill out our Team Building Inquiry Form to get started today. "I got to see everyone's strengths and that the group as a whole really went out of their comfort zone. I got to see everyone's strengths and as a whole, the group really challenge ourselves to get out of our comfort zone. I learned that I am stronger mentally than I sometimes think I am and that I need to always try new things." "As a staff we've never felt more together and it's all because of your efforts!!!!! We had an amazing time at Tree to Tree and we're STILL fondly reminiscing!!! Thank you Tree to Tree for making me shine, but most of all thank you helping my teachers acknowledge their differences and appreciate how it helps the team move forward towards a common goal!!!" "Everyone really enjoyed the program and found your Leadership & The Brain exercises to be really relevant and useful in our day-to-day lives. We had a lot of fun while stretching our brains & connecting more as a team, so thank you on behalf of all of us." "I learned that communication is key. If you do not communicate correctly and everyone does not know what they are supposed to be doing, they will be confused and you will not be able to accomplish the task. I learned that as a communicator, I need very specific instructions. If I am given specific instructions, I will not have any questions about the instructions given and then those questions will not delay the task. I also learned that I work better in a team than independently because I am more of an extrovert and I need to talk things out. Also, more people around me makes it a better learning environment that meets my needs"